Junaluska is one of those venerable old apples long sought by apple collectors but thought to have been extinct since the 1800’s. In 2001, noted apple hunter Tom Brown of Clemmons, NC, located an apple resembling Junaluska growing in Macon Co., NC, about eight miles from the historic Silas McDowell orchard where the tree was sold in the mid-1800’s. Through subsequent research and several follow-up interviews he was able to confirm the identity of the apple. According to Mr. Brown, a 1905 US Department of Agriculture citation states that the original tree was on Cherokee land the US Government was attempting to purchase. However, the Cherokee chief was reluctant to sell the property because his favorite apple tree was located on the land. To settle the issue, State Commissioners agreed to pay the chief an additional $50 for the lot containing the tree. 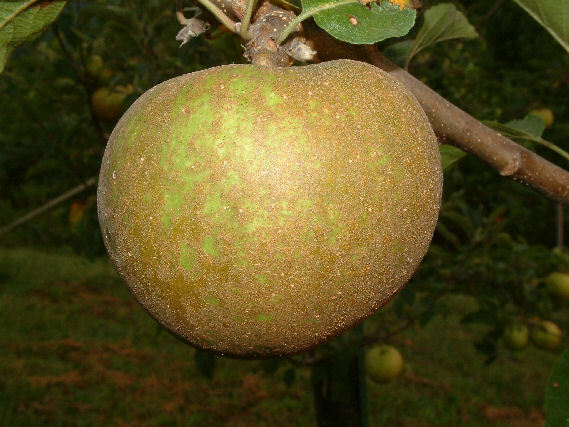 Junaluska is a medium-large, high-quality apple with a distinctive irregular globular form. 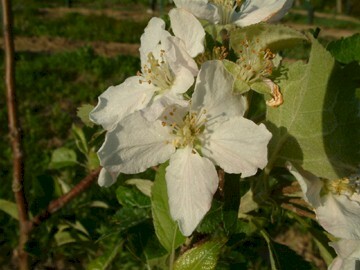 The dull yellow skin is somewhat rough with raised russet patches, occasional greenish spots and with an occasional pale red flush on the sunny side. The tender yellow flesh is moderately juicy and rich with a pleasant subacid flavor. A fine storage apple ripening in October. We’re very sorry and disappointed to say we do not have any Junaluska trees available for purchase this fall. If you are willing to wait until next season we would be pleased to accept your request now for custom-grafted Junaluska apple trees for delivery in the fall of 2015. If interested, just send us your order by March 1st, 2015, and we’ll be happy to place your order in our customer files. Will you have any junaluska trees this fall?